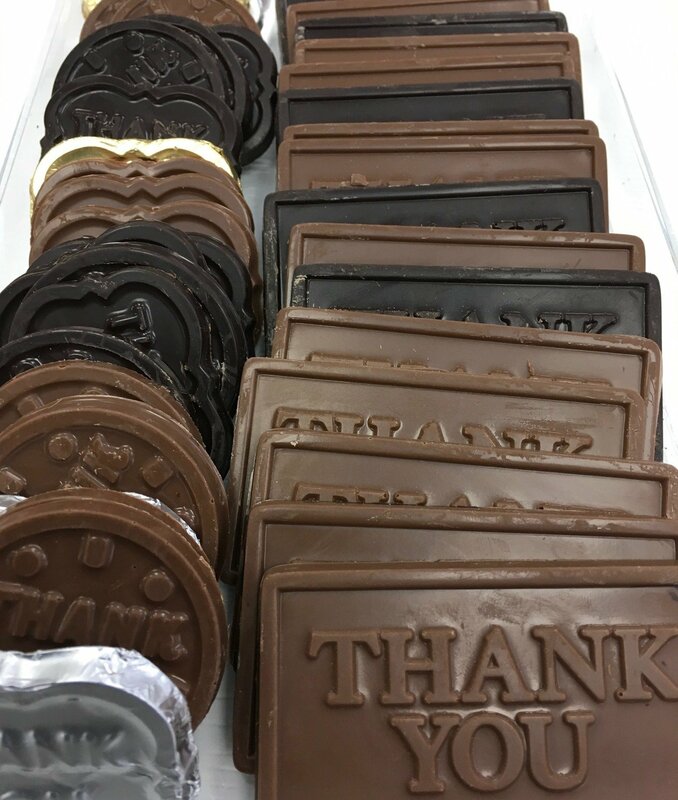 F - Assortment of Thank you Chocolates. Peanut and Gluten Free. Approx. 20 Assorted Pieces to a Lb.